Craig Seligman begins by saying “I didn’t want to write a book with a hero and a villain, but Sontag kept making it hard for me.”, a statement which reflects my primary objection to this book: too much Craig Seligman. “She [Sontag] is not a likeable writer — but then she doesn’t intend to be. She’s elitist and condescending towards those less-informed than she is (i.e., everbody) and gratingly unapologetic about it.” By using this “shoot from the hip” style, Seligman is simply emulating his heroine Kael. Pauline Kael is my favorite film critic, not because of her approach to criticism which is undisciplined and ideosyncratic, but because she is right almost all the time. I love Kael’s line about Richard Chamberlain: “He keeps us conscious that he’s acting all the time. His toes act in his shoes”. Sontag and Kael weren’t opposites, Kael was a brilliant pop writer for whom judgments about personal style were paramount (her own style excepted). She wrote about popular culture within the bubble of popular culture. Sontag’s imperious personal style may have been an important defense mechanism against the oppressive male high culture crypt-keepers of the day. If you remove the personality factor, and look into the substance of Sontag’s writings, to me she comes across as brave and warm-hearted. “Opposites Attract” is, in fact, inapposite: Kael and are not opposite personalities — for Sontag personality was oblique, an accoutrement, her inner thoughts revealed only in the context of her writings, and in the times in which those writings were created (e.g. 9/11). 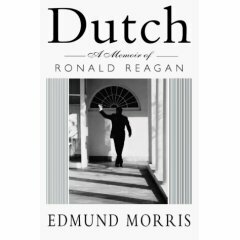 Analyzing ideas in within these layers is a challenging task, and just as Edmond Morris did in his Reagan biography “Dutch”, I think Seligman may have taken the easy way out.